Granville | Veedol has a New Home! A perfect blend of synthetic oils and modern hi-tech additive system. Helps achieve optimum performance and ensures outstanding engine protection against wear at extreme temperatures/under severe duty conditions. Low SAPS oil ensures longer life of exhaust treatment devices like DPF, TWC, GPF, EGR and SCR. Recommended for modern generation petrol and diesel cars requiring ACEA C4 engine oil. 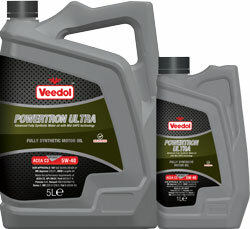 Advanced formulation enhances fuel efficiency. Helps achieve optimum engine performance. Low SAPS technology ensures longer life of exhaust treatment devices like DPF,TWC, EGR and SCR. Recommended for modern generation petrol and diesel cars requiring ACEA C3 engine oil. Optimum performance with complete engine protection at extreme temperatures and under severe duty conditions. 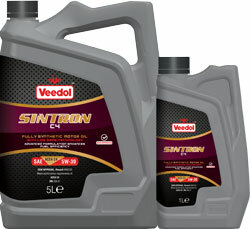 Helps achieve optimum performance and ensures outstanding engine protection agains wear even at extreme temperatures. High level of engine oil cleanliness. Recommended for petrol and diesel cars requiring ACEA A3/B3/B4 engine oil. High level of detergent/dispersant additives help achieve engine cleanliness. High resistance to oxidation for longer drain interval. Recommended for petrol and diesel cars/vans requiring ACEA A3/B3/B4 engine oil. High Resistance to oxidation for longer oil drain interval. High viscosity index for safe lubrication. For further information about which choosing the right oil, click here. For information about when to change your oil, click here.